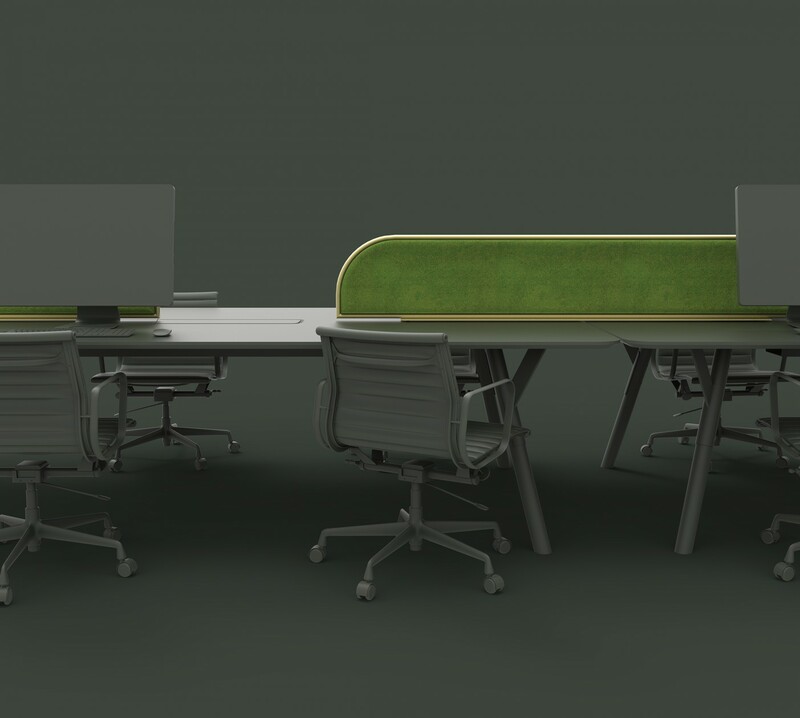 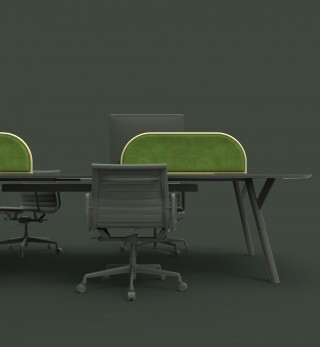 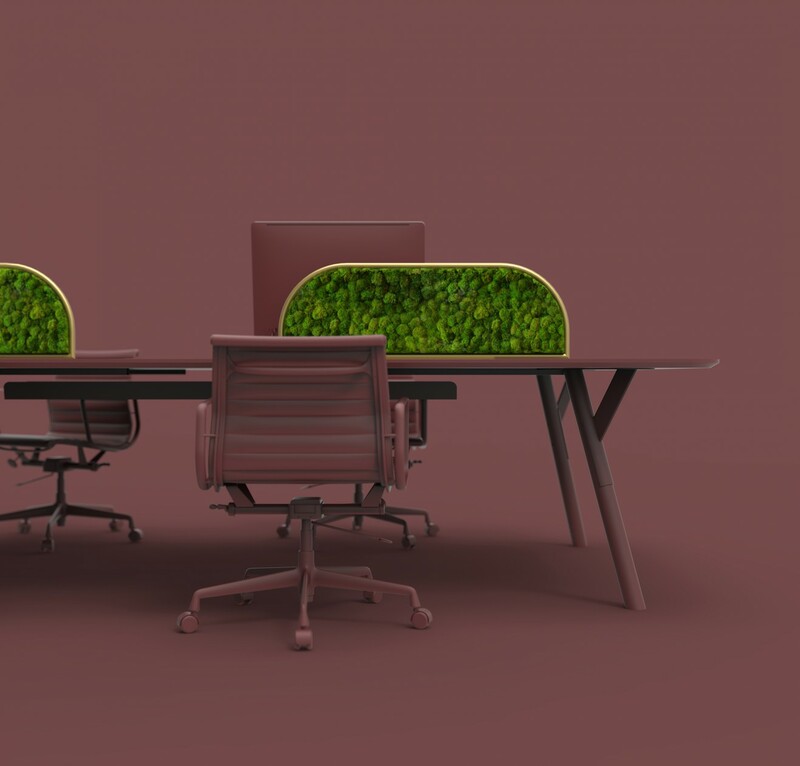 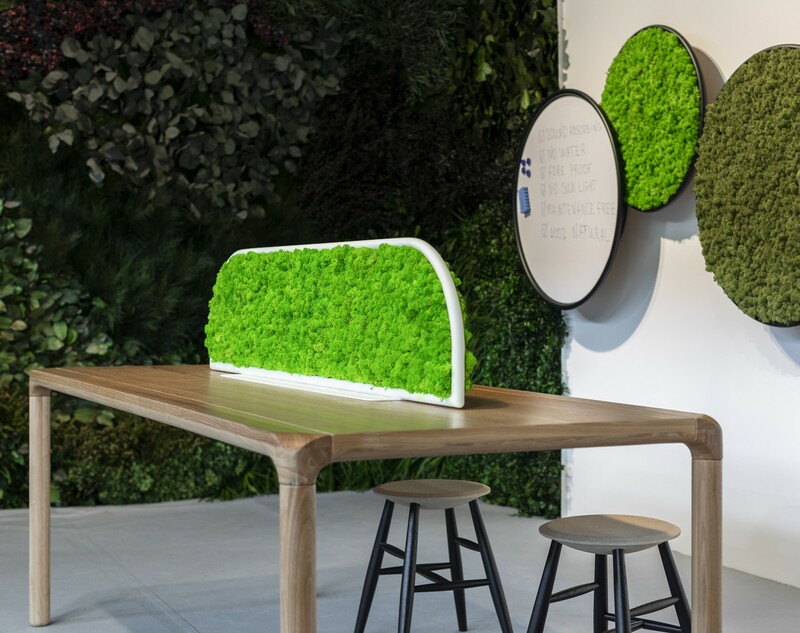 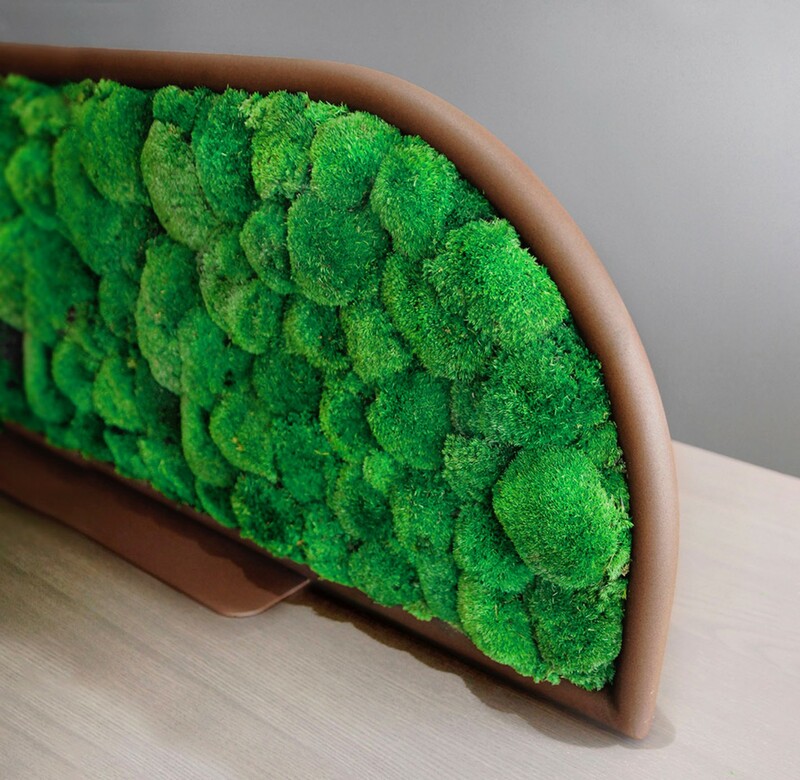 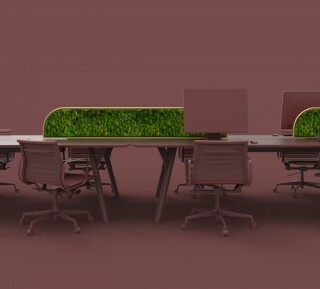 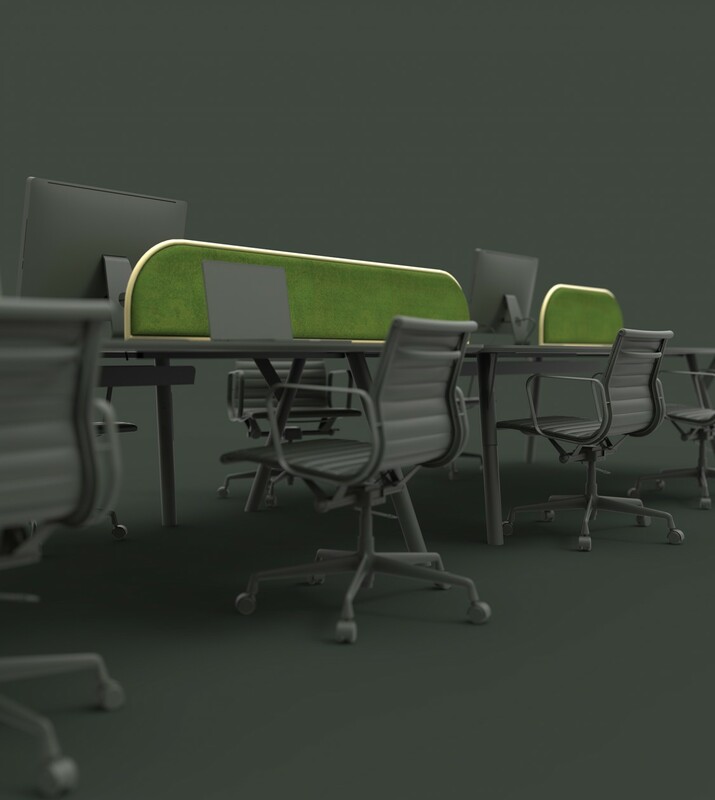 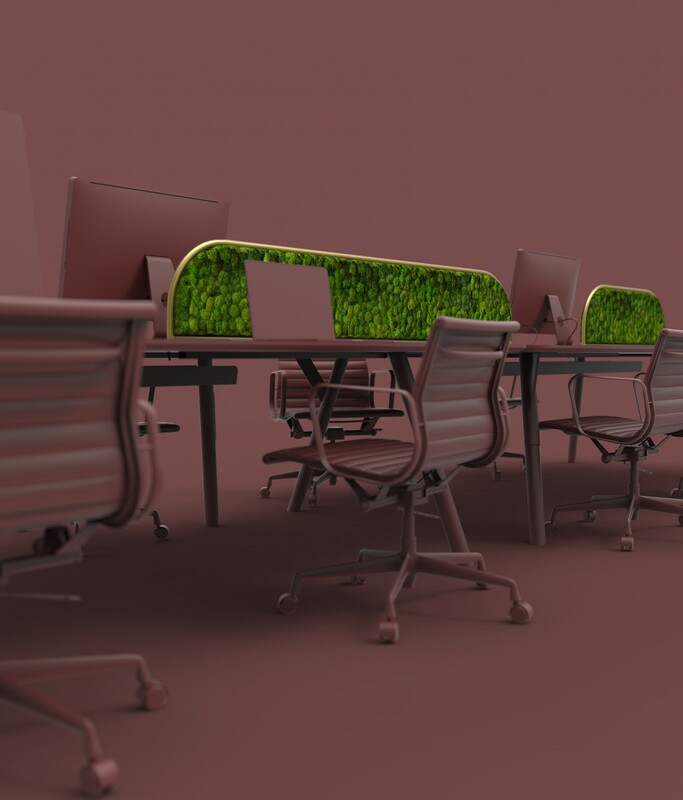 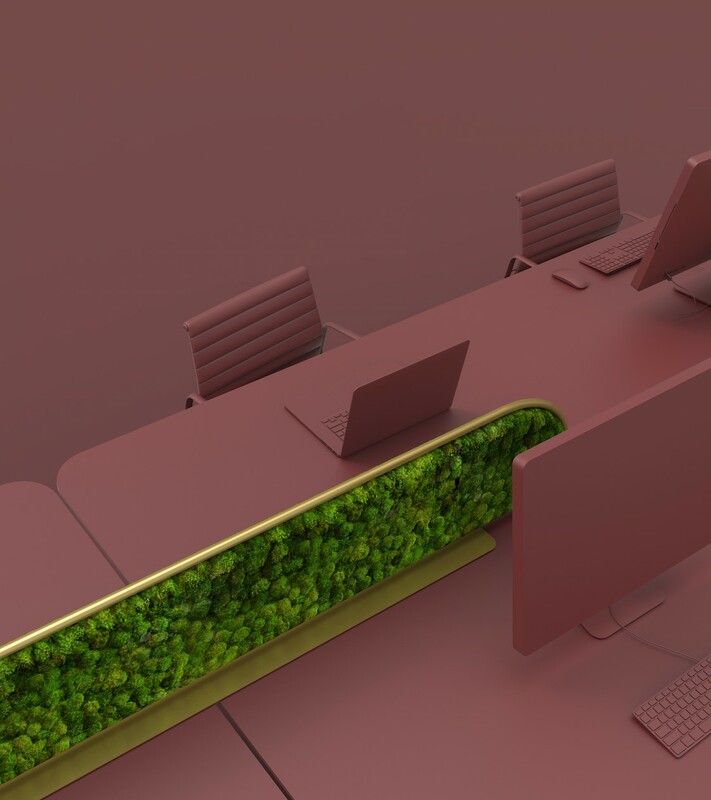 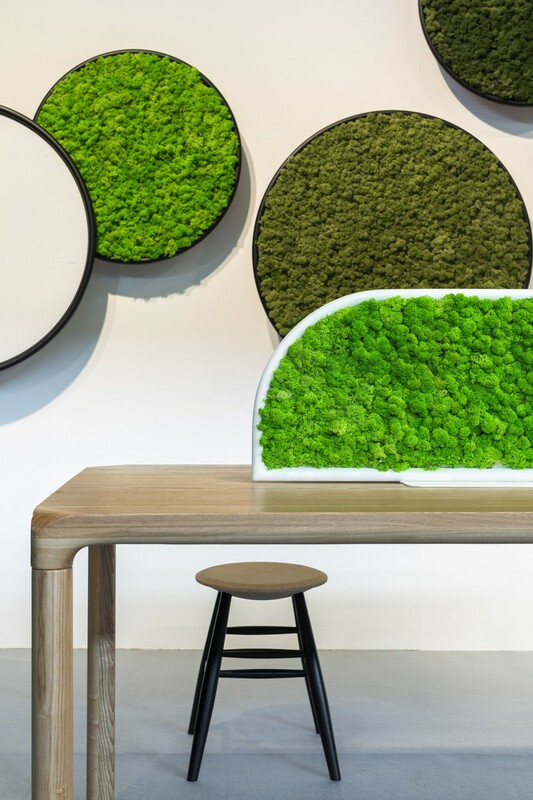 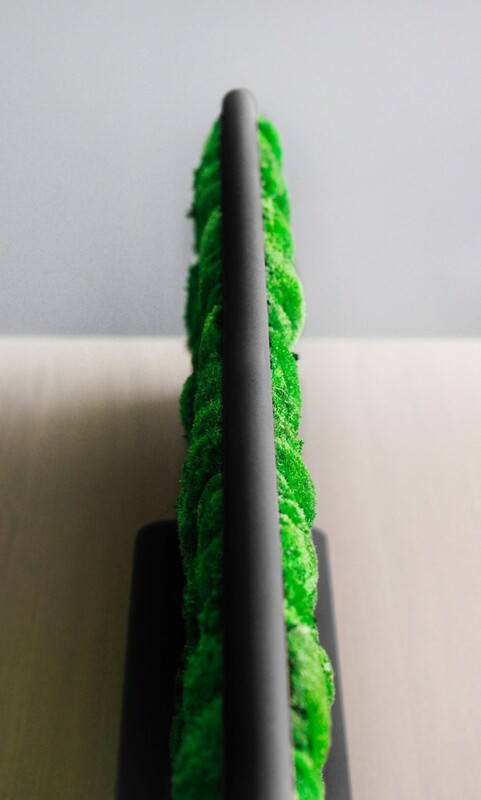 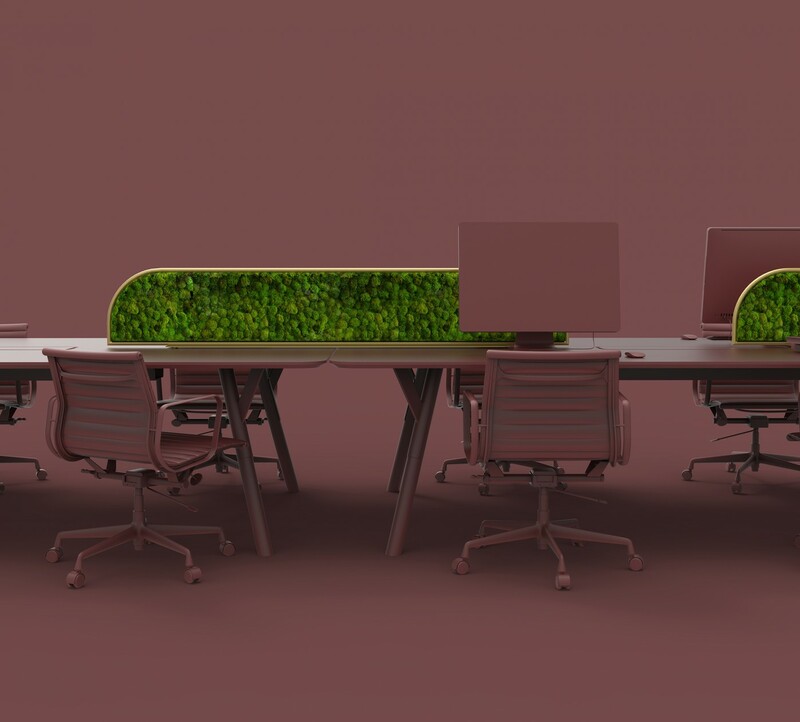 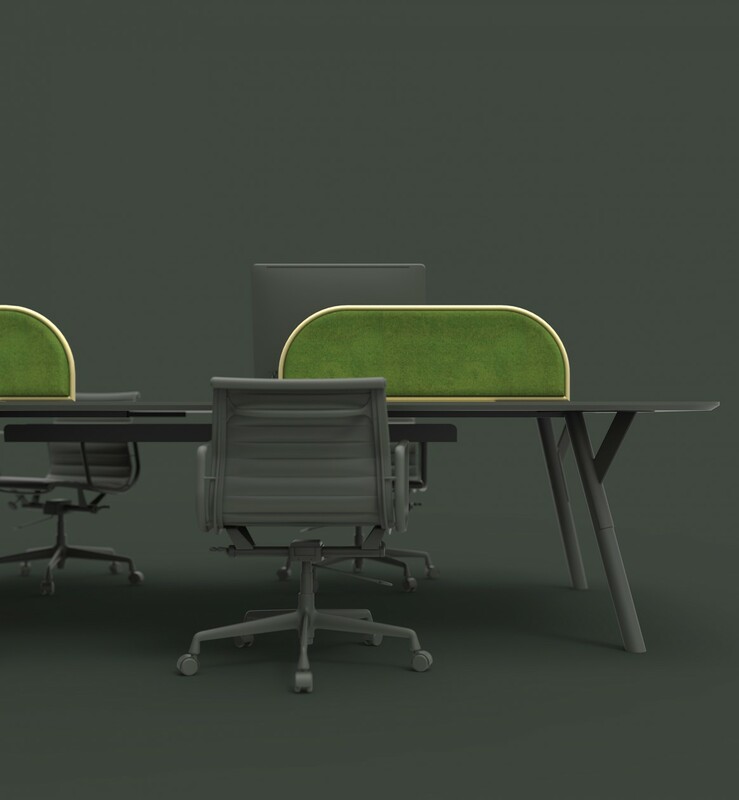 The G-Desk is a moss-covered free-standing desk divider. 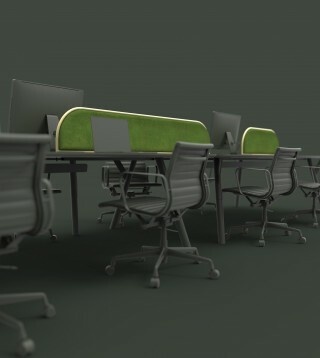 It’s designed to sit on any type of table and can be used in any commercial office environment. 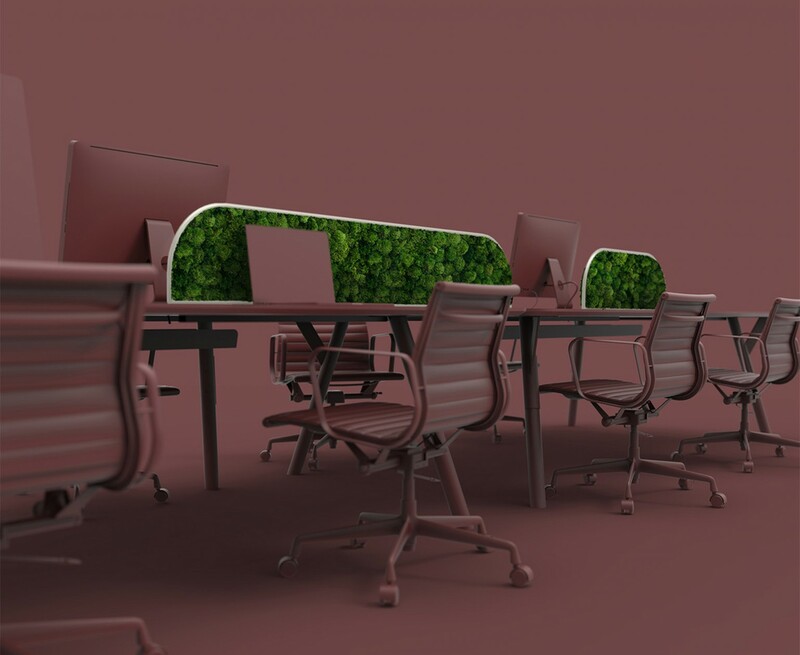 This desk divider will bring a touch of greenery into any office interiors otherwise lacking a natural touch. 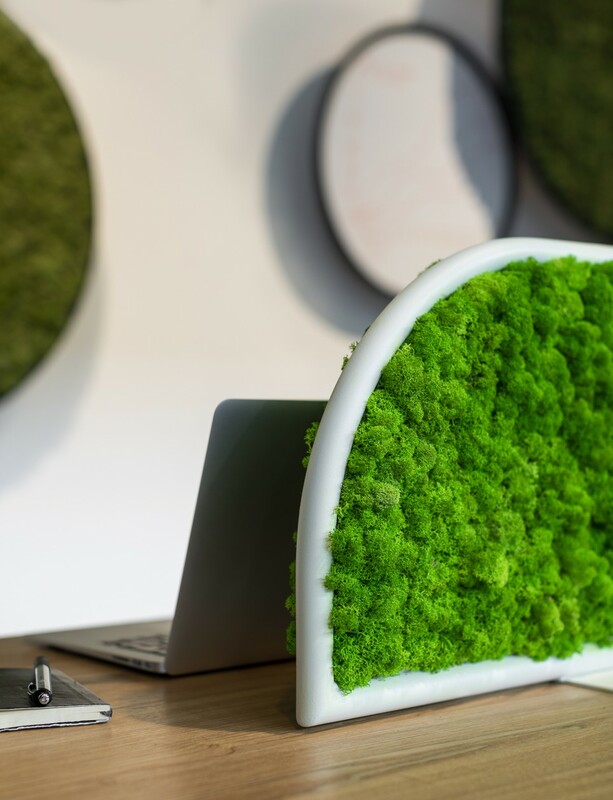 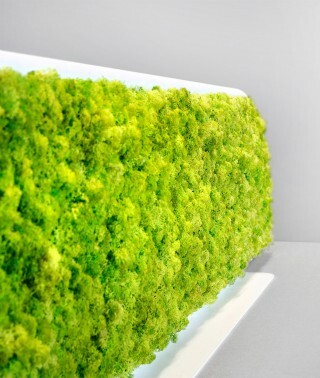 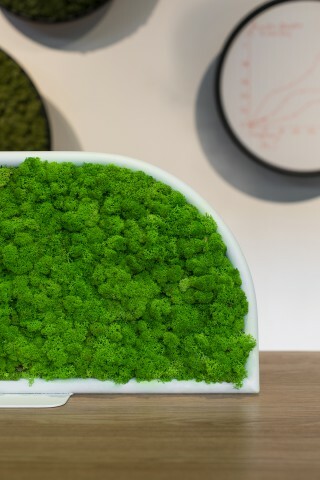 The fully preserved moss also soaks up ambient noise, thereby acting as a sound-absorber. It has been designed to be easily movable. 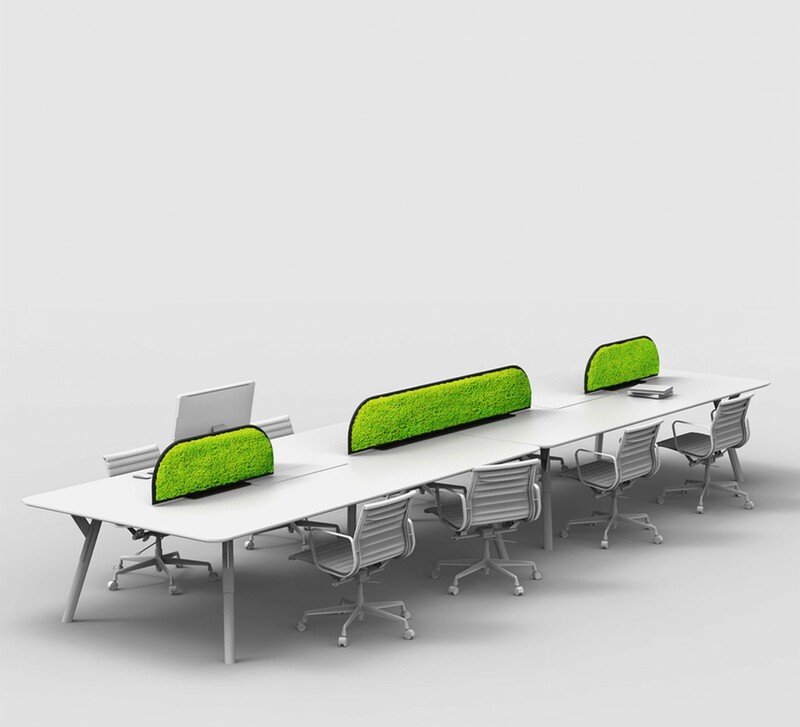 The divider is available in three sizes: small, medium and large. The divider is structured from aluminium with a power-coated finish. 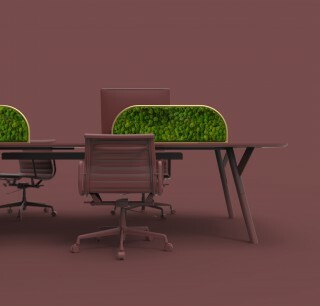 Both sides are covered with moss, allowing for a pleasant green view from all angles, and a resulting boost in mental wellbeing at work.